New! 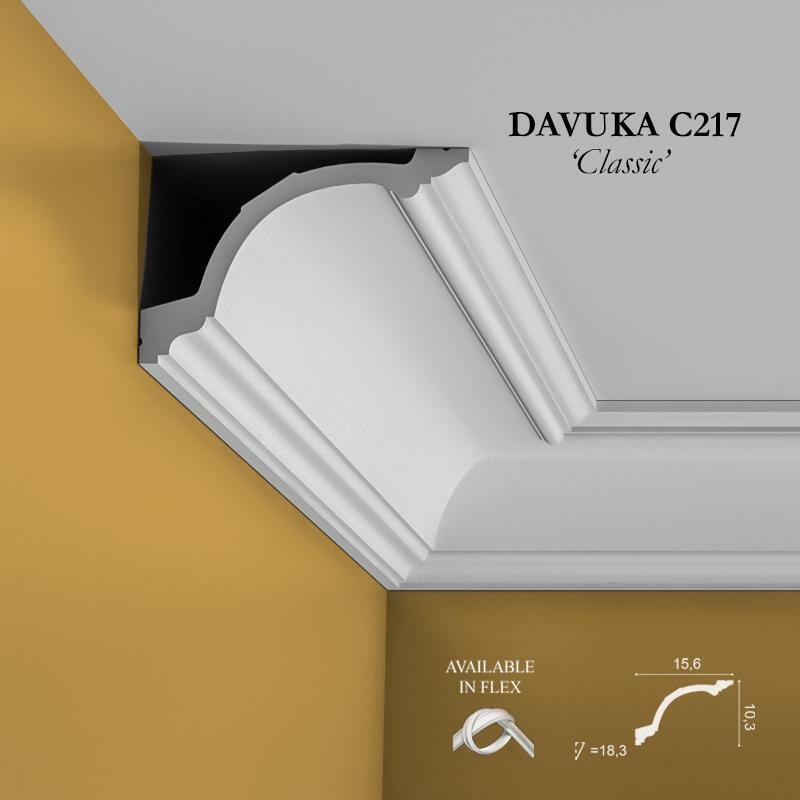 Released in 2016. 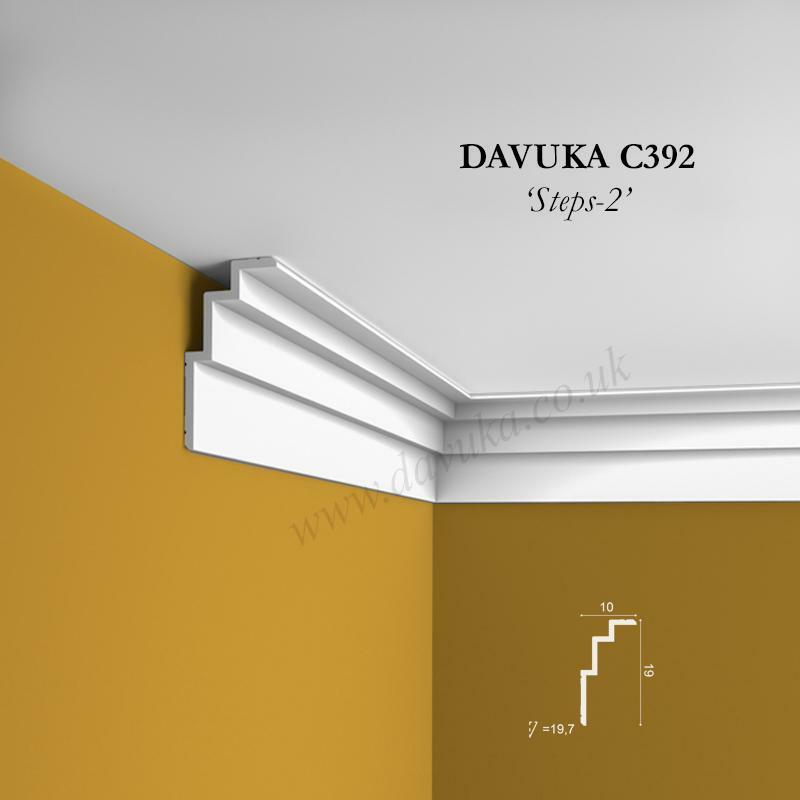 C392 is perfect as a modern cornice or art deco style. 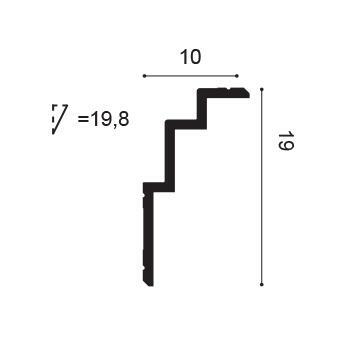 When installed as an original border, it creates additional height and gives your space an extra dimension. 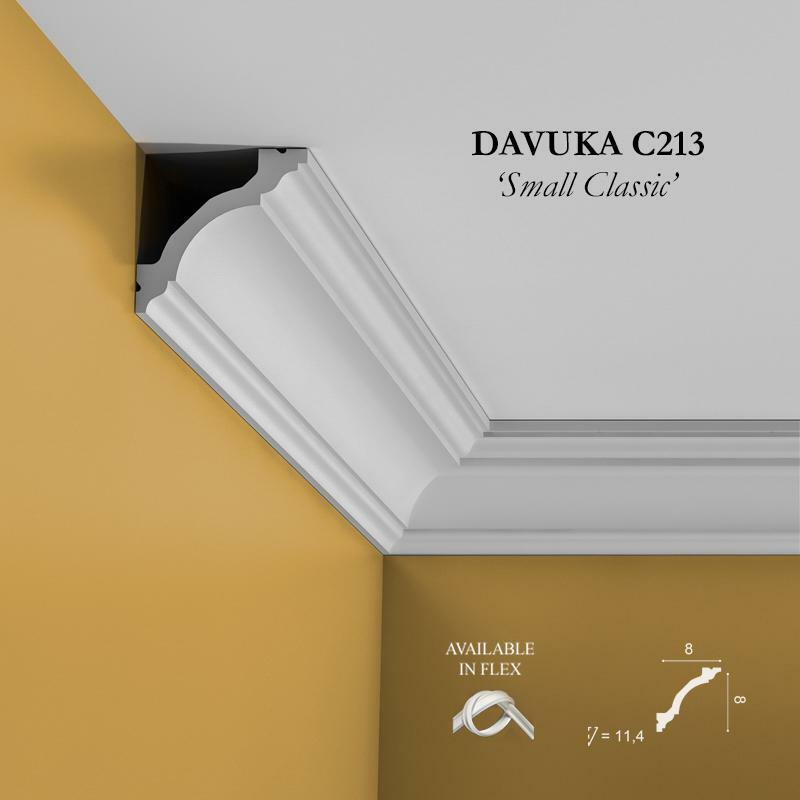 The chamfered corners at the top and bottom also create a subtle line of shadow that further accentuates the linear pattern. 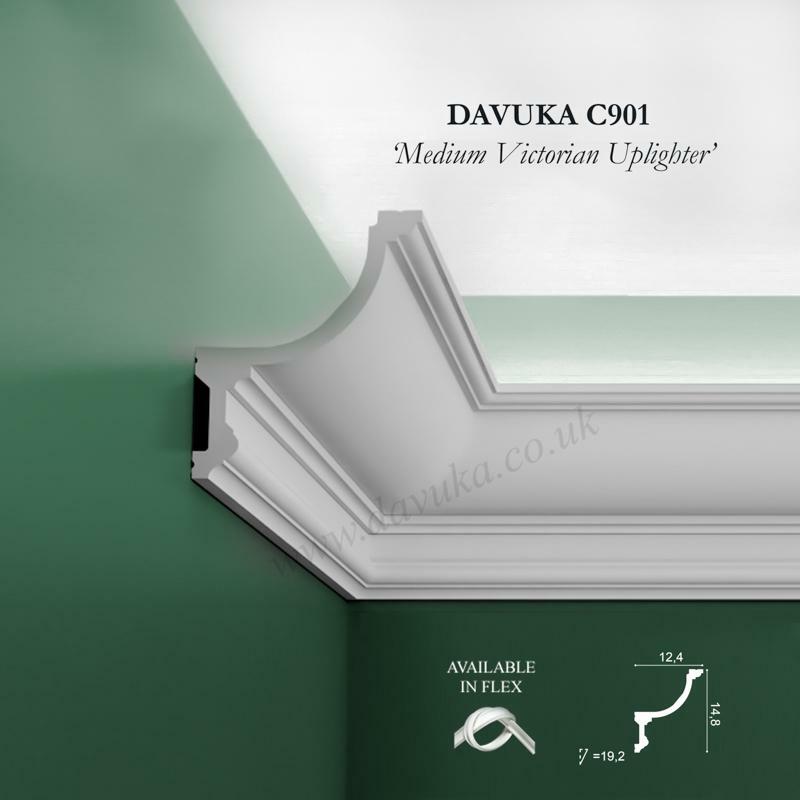 Profile can also be ‘reversed’ to fit long-side across the ceiling. 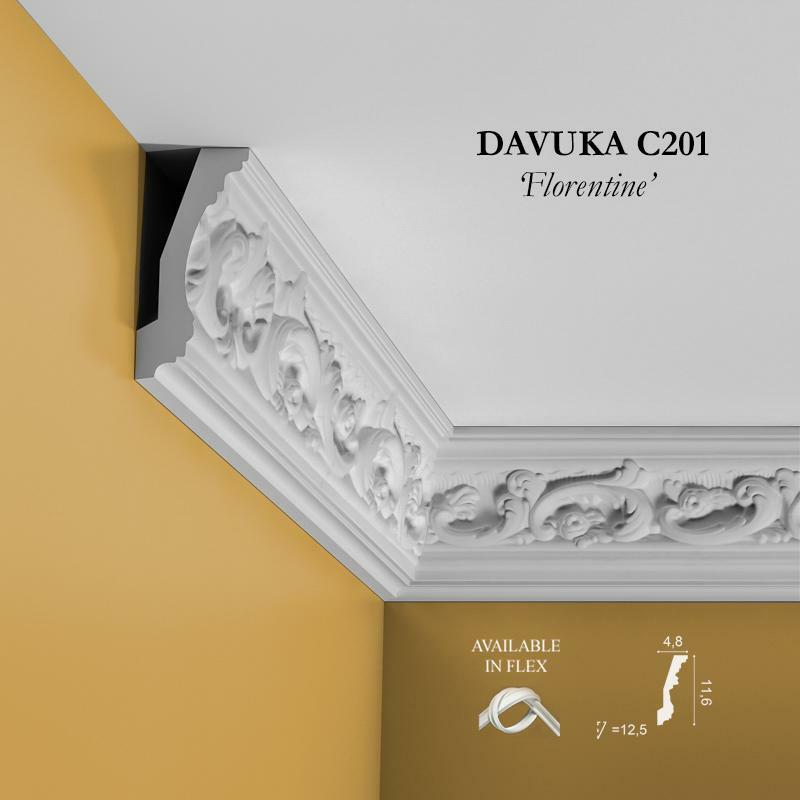 Using Correct Adhesives for the C392 ‘Steps’ cornice – IMPORTANT!